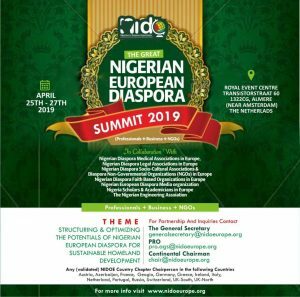 All Chapters’ registered members, irrespective of their country of registration and residence in Europe are members of NIDOE. There are 19 Regional Chapters in 18 Countries in Europe. Each chapter is governed by Chapter Executives headed by a Chapter Chairperson. NIDOE has chapters in Austria, Belgium-Luxemburg, Denmark, Finland, France, Germany, Greece, Ireland, Italy, Netherland, Poland, Russia, Spain, Sweden, Switzerland, Turkey, United Kingdom (2 chapters) and Ukraine. The name and the logo of the chapters are the same throughout Europe with the proviso of the name of the Chapter’s location (i.e. NIDOE-“country”).